The Alliance Française de Washington, D.C. (2142 Wyoming Ave. N.W.) hosts an event Monday, Feb. 1 that will feature Haitian music, French food and wine, and a discussion led by a U.S. correspondent for TF1 French Television. An auction will include a free session of classes at the Alliance Française, concert tickets, paintings and donated items. Tickets are $25; all proceeds to go to Doctors Without Borders. 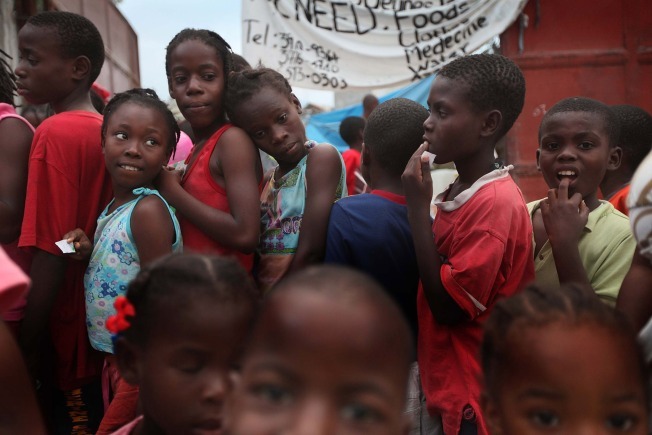 6:30-8:30 p.m.
Spin-4-Haiti at Gallaudet University (800 Florida Ave. N.E.) Friday, Feb. 5. For 24 hours, nine stationary bikes will be set up in the Gallaudet Field House. Donate a minimum of $10 to take a 20-minute cycling shift; the planners are hoping to have all nine bikes going simultaneously. The donations will go to Institut Monfort, a school for 600+ deaf and blind children at three locations in Haiti. To sign up, e-mail spin4haiti@gmail.com. Reports Free in D.C.: "Ashok Bajaj's restaurants are donating $1 to the Red Cross for each signature dish sold at 701, Ardeo/Bardeo, Bibiana Osteria-Enoteca, The Bombay Club, Oval Room and Rasika" through Friday, Feb. 19. O'Hair Salon will donate 100 percent of proceeds from services (including cuts, blowouts, massage and makeup application) at both locations (6 E. Church St., Frederick, Md. and 424 Main St., Gaithersburg, Md.) on Sunday, Feb. 14 from 10 a.m.-3 p.m. during their Rally for Relief. Expect discounts and raffles, too. Proper Topper is donating 100 percent of the revenue from sales of its popular Marlyn Shiff bangle bracelet through the end of February. The bracelets are $20 each -- the store folks says on their blog, "We're hoping now to sell them by the thousand and carry a nice fat check down to Red Cross as soon as possible." What's the Deal D.C. will donate $1 to the Red Cross for every person who signs up to receive their e-mails on discounts for local restaurants, bars and more. Know of more relief events happening around town? Leave us a message in the comments, or Tweet it to us via @dcscene.